Watch the new EPIC video trailer for ‘REBOOT’ from Killing Joke drummer and co-lyricist, Big Paul Ferguson (BPF). | Louder Than War Watch the new EPIC video trailer for ‘REBOOT’ from Killing Joke drummer and co-lyricist, Big Paul Ferguson (BPF). Watch the new EPIC video trailer for ‘REBOOT’ from Killing Joke drummer and co-lyricist, Big Paul Ferguson (BPF). The track is a grooving floor stomper ‘powered by angst’ and visually expressed in this powerful video by long-time collaborator Mont Sherar of Montster Filmwerks. 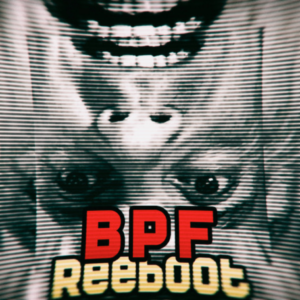 BPF is Big Pauls solo project that combines his rhythmic talents with that of guitarist extraordinairre Mark Gemini Thwaite (Mission, Tricky, Peter Murphy).